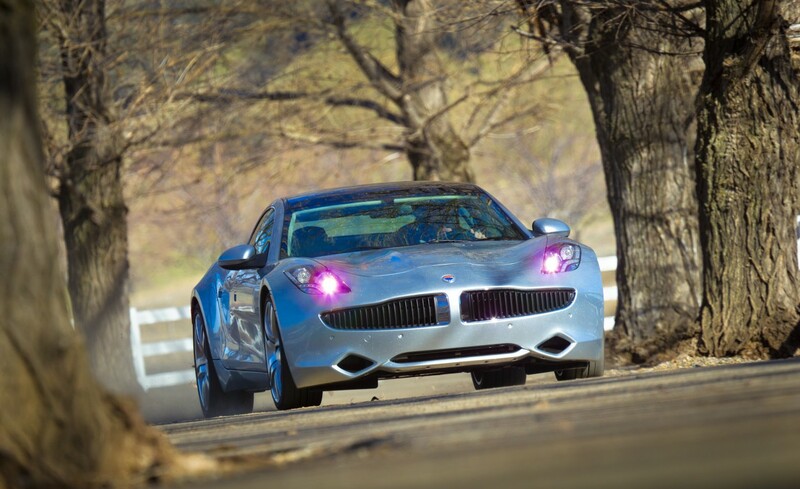 Three years and a billion investment dollars after the Fisker Karma rolled forth as a stunning plug-in-hybrid concept, it’s finally ready to rock as a stunning production car. While growing up in Denmark, Henrik Fisker inherited from his father a deep appreciation for American cars of the Sixties. Upon completing formal design studies, he put his rearing to excellent use. Warming up for the Karma, Fisker designed the BMW Z8 and the Aston Martin DB9 and V-8 Vantage—all of which stand tall next to any Corvette or Eldorado. Up front there’s a 260-hp, GM-supplied four-cylinder engine spinning a mighty generator. Next in line is a 20-kWh, American-made lithium-ion battery pack. Twin AC motors straddling the rear axle deliver 402 horsepower to the differential. The propulsion system, the Brembo brakes, the 22-inch cast aluminum wheels, and the aluminum suspension components are supported by an aluminum space frame stitched together with 260 feet of welds and a thousand or so rivets. The Karma’s aluminum skin is finished with a solar-cell roof, a composite decklid, and plastic bumpers. This entry was posted on August 19, 2011 by cosmonavigator. It was filed under Transportation and was tagged with 2011, alternative, august 19 2011, cosmo, cosmo navigator cosmonavigator, cosmonavigator, current events, dailies, Design, Fisker Karma Hybrid, funky, funny, gallery, great, leo dicaprio, life, Life Style, media, news, nice, opinion, opinion photography, photo, photography, silence, thoughts, watch.